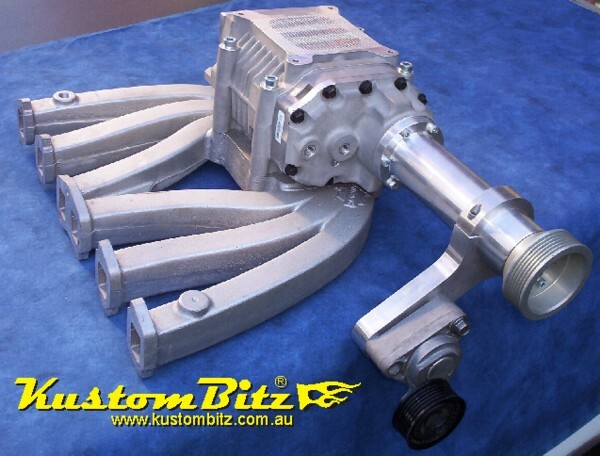 There are exciting things happening at here at AussieSpeed VIC & KustomBitz this year, for a start how about these locally developed supercharger kits for the Holden Blue 12 port 202 six cylinder engines, also available for the 9 port red engines. And it will not stop there; there are kits in development for the Chrysler Valiant Slant six, Hemi 245, 265 straight six and the Ford crossflow 6 cylinder engines just to wet your appetite. 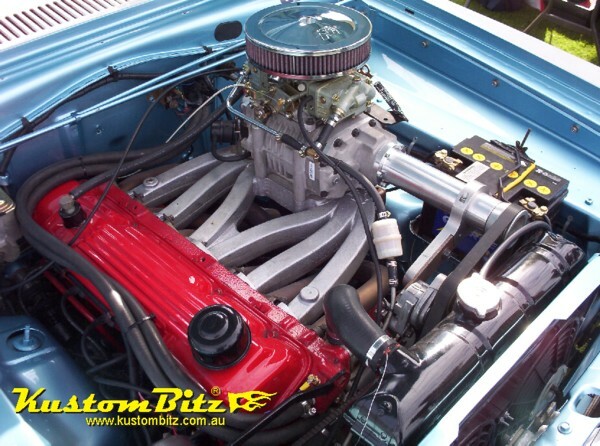 These engine blower kits use brand new design and flow bench tested AussieSpeed inlet manifolds for even runner flows, designed to work with these efficient, positive displacement, Eaton roots style blowers made by Yella Terra here in Australia. Also known as the Terra Charger. These small low profile M90 blowers run roller bearings and are a proven design manufactured by Eaton in the United States and have come out as standard equipment on a lot of OEM cars in the USA including GM and Ford cars. 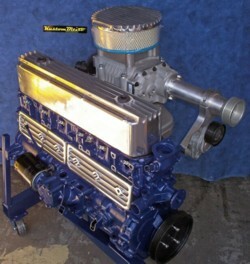 This particular style blower is good up to about a 5 litre engine and is quite capable of making up to 450 horsepower. 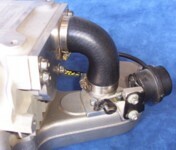 A choice of a radial blower to accept a standard 4 barrel carburettor or an axial version that can accept a Webber side draft carb mounted at the back of the blower and keep the profile super low. All Superchargers include a bypass valve so that when the valve senses engine vacuum [throttle is closed] it opens and removes boost so the air just circulates. 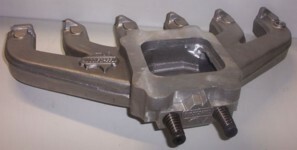 This allows for much smoother throttle response and better idle quality. 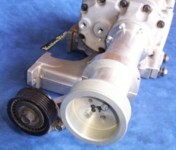 With different pulleys we can control boost pressures from 4 to 16lbs of boost pressure. Side mounted blow off valve just in case you get a back fire, will relieve manifold pressure. Spring loaded belt tensioner with serpentine style multi-grove rubber belt drive, provides for fairly quiet motoring when the blower is not making boost, allowing you to sneak around undetected. However you will love the sound it makes when under boost conditions and so will your mates, there is nothing quite like a blown engine. Now some misconceptions about supercharging is that you need special internals in your motor to be able to take the power. This is partly true in that if you are trying to produce the big horsepower numbers, then yes you need good pistons and rods that will hang together and won’t move and flex. You will also need a low static compression ratio so that you can pump more air fuel in with out detonation problems. However at relatively low boost pressures of 4 to 6lbs are perfect for a well built standard engine. 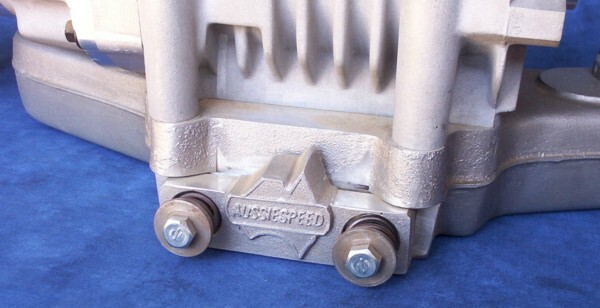 This sort of set up on a standard engine is perfect for towing caravans, boats or race car trailers. 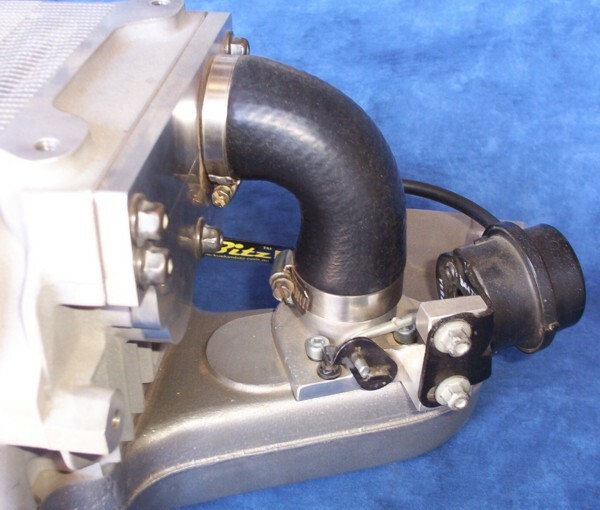 You get bucket loads of torque right in the rev range you need it to work in and with out all the heat like that which a turbo engine generates.